All articles begin with a title. 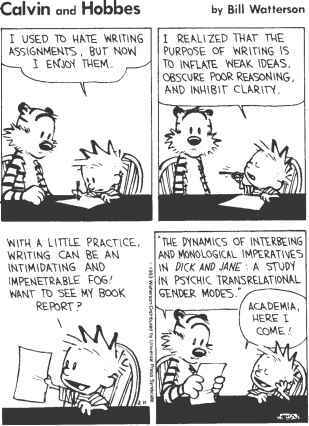 Most include an abstract. Several include 'key words'. All three of these features describe an article's content in varying degrees of detail and abstraction. The title is designed to stimulate the reader's interest. The abstract summarises the content. The half-dozen or so key words, sometimes called 'descriptors', together with the title and the abstract, facilitate computer-based search and retrieval. Although, logically, it seems sensible to start by discussing the title, it is when finishing an article that authors need to attend to it more assiduously. No doubt throughout all the drafting and preparation there will have been a working title (and a suitable journal) in mind, and, probably, this title will have changed every so often as better ways of conveying what the paper is about have come to mind. But now, at the end, it is the time to finalise it. A good title should attract and inform the readers and be accurate. It needs to stand out in some way from the other thousands of titles that compete for the reader's attention, but it also needs to tell the reader what the paper is about. Furthermore, as the success of many computer-based searches depends upon the title, it is important to include in it some of the key words relating to the topic of the paper. Titles come in many forms (see Crosby, 1976). Here are thirteen types that I have used, or seen used, in journal articles (Hartley, 2007). Each has advantages and disadvantages.